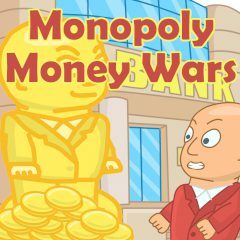 Money Wars Multiplayer has arrived! Finally you have the chance to get rich and have fun while doing it! The game combines the fun collecting coins, a board game in which your opponent – Serious Hank tries to outrun you! Run on the levels and collect coins for earning a lovely $100,000,000!